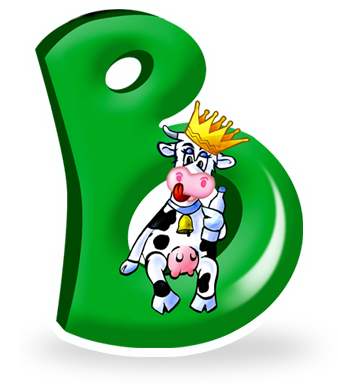 Our High Quality milk comes from the controlled and selected dairy cows of the Baroncini Mirco e Fabio Dairy Farm in San Bernardino di Lugo. An healthy and genuine product like the land from which it comes: 100 hectares of green pastures and cultivated fields that softly spread over the sunny and fertile plains of the Ravenna countryside. It is here, in contact with nature and the uncontaminated air of these meadows, that we grow the fodder and cereals that will feed our cows, which we raise with loving care. Their welfare is our highest priority. Thanks to continuous controls and a reliable production chain which is verified throughout all of its stages - from the milking and product collection to all stages of production and distribution – our milk is a type food with exceptional nutritional properties, which excels in freshness, goodness and safety: a product conceived and dedicated to all of those who love the antique authenticity of country flavors and wish to rediscover the unmistakable and inimitable taste of fresh milk that has just been milked from the cow. 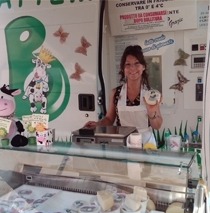 With Il buonlatte vending machines, you can savor all the genuine and natural freshness of milk that has just milked by the Fratelli Baroncini Mirco e Fabio Dairy Farm in San Bernardino di Lugo. Equipped with advanced technology, our vending machines can always guarantee the perfect conservation of High Quality raw milk, all while maintaining its valuable nutritional qualities. Thanks to the efficient distribution service, at any moment it is possible to savor a healthy and genuine product that has been certified at every stage of the production chain. Simply insert a coin of any type, from 10 cents to 2 euros into the dispenser. If needed, the vending machine is capable of dispensing even fractions of a liter at the customer's choosing. 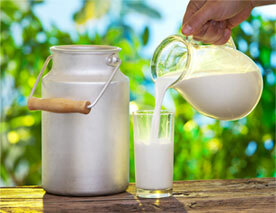 For those who wish can drink a simple and refreshing glass of milk. There are also ready-for-use bottles available from the vending machines. However, the customer is welcome to bring their own container from home to save money and keep the environment clean. As it once was, fresh milk becomes the undisputed leader of our dinner tables, but with an extraordinary difference. As opposed to in the past, to taste this genuine and healthy product today doesn't require you to find a cattle farmer who produces Alta Qualità standard milk. All you need to do is go to one of our Markets or at Buonlatte's Farm. Raw milk, made fresh daily, is a product that you cannot find in any retail location, and purchasing it saves you as much as 30% compared to the "fresh" milk sold in stores. Thanks to the advanced technology they are equipped with, our vending machines are constantly in direct communication with the farmer to issue a warning if the milk is low or if there has been some other irregularity. Therefore, our system is able to ensure the highest degree of safety, hygiene and traceability in all of the milk production stages: from the producer to the consumer.